I’ve talked to thousands of investors over the years who are absolutely convinced that they need to understand the market’s most complicated nuances to get ahead. In reality, though, success comes down to just five things that I call the Total Wealth principles. Get ’em right and you can make more money with less risk while enjoying a peace of mind that the vast majority of investors will never have. I know that sounds like a tall order, but it’s not. Or, at least, it doesn’t have to be. You see, most investors fight the markets instead of going with the flow. And in doing so, they doom themselves to pathetic returns that do nothing but pad Wall Street’s pockets. I want you to understand these five Total Wealth principles because they will help you harness the awesome power of the markets themselves. Then you’ll have the perspective needed to build the financial future and, specifically, the profit potential that you so richly deserve. Especially now, when weak economic data is building yet another wave of panic among the 99% of investors who will never understand what I’m about to share with you. Here are five Total Wealth principles to invest by – and pitfalls to avoid. I often joke during my presentations around the world that we are all born with common sense… and that it’s just bred out of us as adults. Usually that gets a good laugh, especially since we’ve all touched the proverbial “hot stove” at one point or another in our lives despite knowing better. 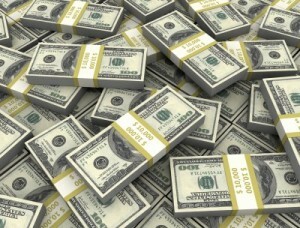 Nowhere is that more clear than when it comes to money. That’s why investors assume that whatever is happening right now is going to happen in the future. It’s also why millions try to find patterns in random data that they believe are meaningful, while ignoring the information that actually means something. Case in point: history. Data show very clearly that the markets have a tremendous upside bias over time. There are all kinds of reasons, but really it comes down to the fact that there is a constantly increasing supply of money chasing a finite number of stocks. So prices increase. If this doesn’t make sense, think of it by imagining eggs at the grocery store. If there are 1,000 eggs and only one shopper, the price of those eggs will be pretty darn low. But if the situation is reversed and there are 1,000 people who want the last egg, the price will go through the roof. So why is it that investors panic and do exactly the opposite of what they should be doing? Simple… because they don’t understand what I’m telling you: namely, that capital is an expansive force. By its very nature, capital ties into the growth of the companies that make up today’s markets. 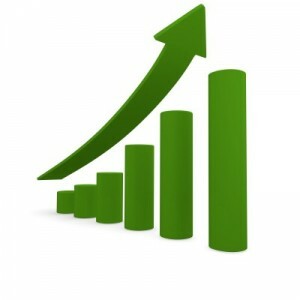 Growth translates into revenue, revenue to earnings, and, ultimately, earnings into higher share prices. Ergo, bear markets are not the excuse to run for the hills that everybody thinks they are. They’re nothing more than a short-term event that does not mitigate the larger, longer-term picture. I realize that runs counter to conventional wisdom, but hear me out. Even the dot-bomb blowout and the financial crisis of 2008 are nothing more than speed bumps in the grand scheme of things. In fact, if you had bought a fund tracking the S&P 500 on July 1, 2007 – the point at which it reached an all-time high before the financial crisis began – and held those shares, you’d still be sitting on total returns of more than 31% today. To be clear, I’m not advocating “buy and hold.” What I am trying to demonstrate is that you can buy at an absolute peak and still have double-digit potential if you have the right perspective. Buy and “manage” is always a better way to go… but that’s another Total Wealth tactic for another time. I want you to understand that periodic downturns are a fact of life. More to the point, bear markets are normal because what they really signify is opportunity in the bigger picture. 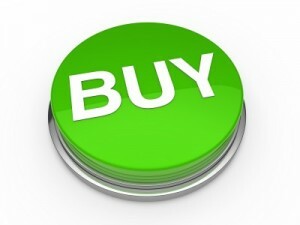 Buy low and sell high is how the game is most profitably played – especially when you confine your investments to growing companies in Unstoppable Trends like we do. Mean reversion (in financial terms) states that stocks have an average rate of return, or movement, that they will deviate from and then return to over time. For example, if stock ABC has historically returned 7% on average over the last 50 years, but it returns 15% this year, traders can reasonably – though not always – expect the stock’s price to record smaller-than-average growth the following year, to bring its growth for that period more in line with its mean return. Of course, sometimes companies see “game changers” that enable the stock to see improved returns that are not just sudden, but sustainable. That means stocks can experience a breakout (Tesla in 2012, Jazz Pharmaceuticals in 2009) from which there is no reversion to the old mean – merely the establishment of a new one. Of course, this works in reverse, too. Stocks can see death blows that result in an unrecoverable decline. Like RadioShack, BlackBerry, or even Kodak, for instance. My point is that understanding whether you are above or below the trend line can tell you a lot about whether short-term market conditions favor buying or selling. If you’re significantly above trend, the markets favor a retracement lower. If you’re below trend, an upward move. It all comes down to perspective. 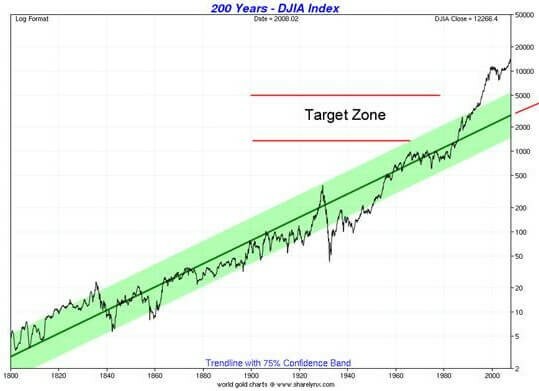 Understanding the historical returns of the markets and having a good understanding of whether a correction or bull run is likely should never be confused with market timing. 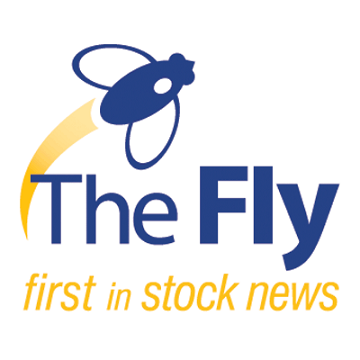 People who try to time the market – buying when they think the market has hit a nadir, or selling when they have a feeling it won’t get any higher – are wrong a staggering percentage of the time. Nobel Laureate William Sharpe observed in a 1975 study that a market timer would have to be correct 74% of the time to outperform a simple index fund. SEI Corp. updated Sharpe’s work in 1992 with a much longer time frame, dating from 1901 to 1992, and found that timers would have to be right a staggering 91% of the time. But that doesn’t stop people from trying and, I might add, with predictable results. It’s no coincidence that DALBAR data shows that the average investor who tried to time the markets achieved an annualized return of just 2.53% for the 20 years from 1993 to 2013, in contrast with the average annual return of 9.02% that the markets generated over the same time frame. People tend to overestimate their ability to predict where the market will be heading, so they make knee-jerk decisions based on how they feel about things instead of using cold, hard logic to guide their behavior. Get emotion out of the equation, quit trying to time things, and you’ll be miles ahead of the herd. Very few investors understand that volatility has a “shape,” and an extremely specific one at that. Prior to the financial crisis, volatility was modelled around an equal set of expectations using standard distribution models taught in every high school statistics class. 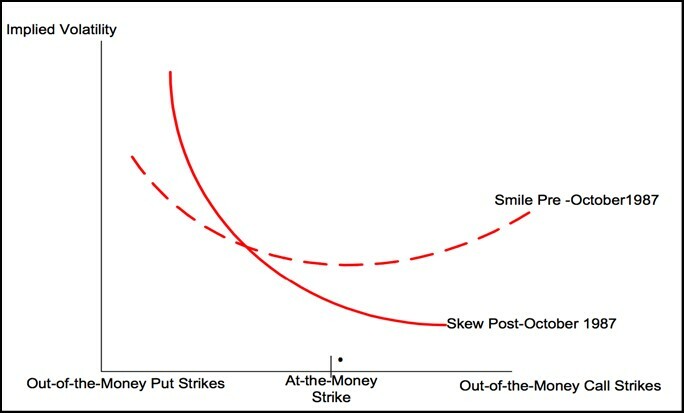 Most commonly used for options, the price models are commonly depicted as a “volatility smile” that shows you the relationship between volatility and price. 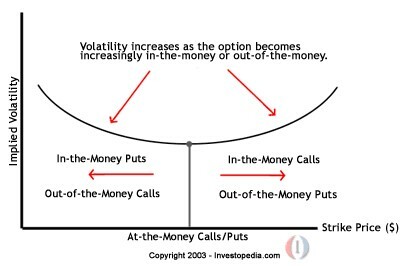 While a complete discussion is beyond what we can do here in a single column, what you need to know is that as volatility rises, options prices rise along with it. In the old days it was a relatively evenly distributed relationship, as you see above. 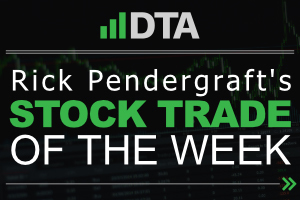 However, since Oct. 19, 1987 – a day traders refer to as Black Monday – when stock markets around the world crashed and the Dow lost nearly 22% in a single day, there’s been a change. That’s because the markets are now viewed as having very small but permanent odds of a catastrophic failure. This is known as “skew” and makes buying protection more expensive than it theoretically should be, and makes buying upside cheaper than it appears. Imagine the “volatility” smile turned a bit and you’ll get what I am talking about. This is important even if you don’t trade options. That’s because the skew is indicating that prices can get out of control on any downward move faster, and the move itself can be more violent, compared to similar downside moves before 1987. So, you’ve always got to have a risk management plan in place ahead of time. To me that means some combination of 1) only picking the best stocks following Unstoppable Trends, 2) having trailing stops in place at all times, and 3) keeping risk to razor-thin levels. The stuff we talk about all the time at Total Wealth. There are a number of reasons why this is the case, but much of it has to do with the increasing computerization and indexing most of the major trading houses engage in today, not to mention the interconnected nature of our financial markets. The machines are here. 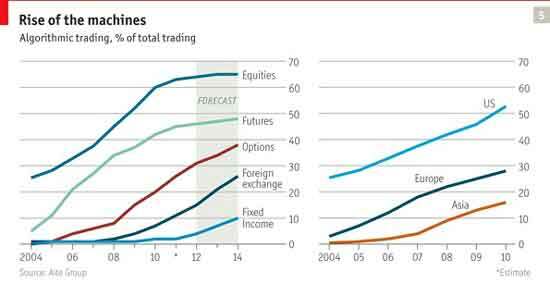 The percentage of trades in the United States that were made by algorithmic programs rose from 25% in 2004 to more than 50% by late 2009, according to Aite Group. Some estimates suggest as much as 70% of total stock market volume is now machine-driven, with the heaviest concentrations in the U.S. financial system. Most investors believe this to be a disadvantage, but I disagree for the simple reason that you have advantages as an individual investor that big traders don’t. For instance, you can move in and out of the markets, adjusting your positions at will in accordance with your specific profit objectives and risk tolerances. Big traders have no choice but to keep their money moving. So they’ve got to play games even if they don’t want to, and even if the markets are working against them. If that’s hard to believe, think about it this way. You can buy or sell a few thousand shares of Microsoft and the markets won’t even notice. But an instructional trader can’t just waltz in and buy a few million shares without other traders noticing and beginning to trade against him. This is why, for example, a JPMorgan trader named Bruno Iksil got sideways and cost the company at least $6.2 billion in 2012. Once competing traders heard he was in trouble, they began to bet against him and profited even as he lost. That’s why I recommend using limit orders, trailing stops, and even options. It’s not that I want you to do anything crazy. I want you to understand the big picture, along with all the tools at your disposal, so you can protect yourself from Wall Street’s manipulation and beat them at their own game by exploiting trading conditions to your benefit… not theirs. The way I see it, investing is a thinking game, and the more strategically you approach it, the more successful you will be, especially if you keep these five Total Wealth principles in mind. To that end, I’ll be back with a look at several of the most commonly used order types you can put to work immediately.